Ground cherries (Physalis pruinosa) are not to be confused with the bigger cape gooseberry (physalis peruviana). 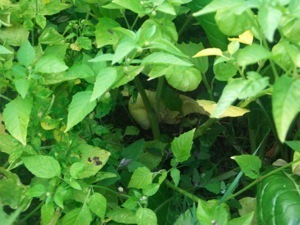 Ground cherries are small , but quite wide plants (depending on the variety). 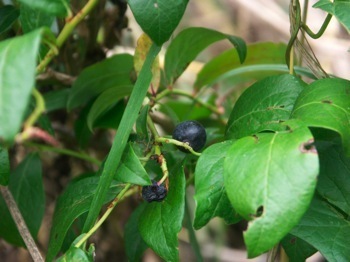 The small yellowish berries are produced abundantly, they have some sort of a husk, and when that husk looks ‘papery-dry’, the berries are ripe. They can resow themselves , espacially in warm climates. Their taste is very good, they are an excellent combination with vanilla ice cream! And, a plant without any problems...easy to grow. See apios for explanation of the culture and plant. One of the best plants that can be used as some sort of a living ‘mulch’ or permaculture: they provide nitrogen for the surrounding plants (the roots produce little nitrogen knobs, this nitrogen is easily absorbed by other plants). 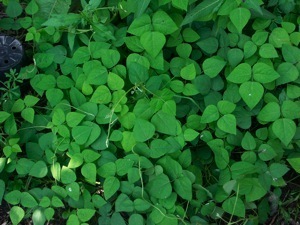 The plants are very vigourous, and can be placed in semi-shade. Growing is easy, start them off in April (they are frost-tender, so protection could be needed), and plant them out in May. 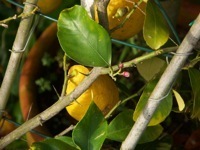 They will quickly fill up a bit of space and tend to smother everything underneath. The nuts have a very good (peanut) taste, and are formed very late in the season, on 4 different forms of flowers. 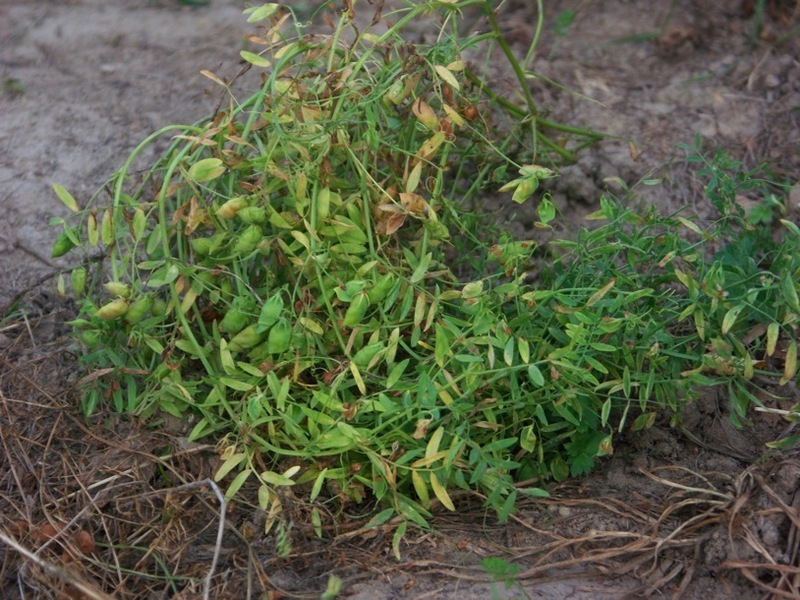 Most of the nuts of hog peanut (Amphicarpea bracteata) are found near the main roots and just up or below the surface. Production is, sadly enough, not big. The harvest nuts should be kept moist during wintertime, otherwise they will rot away. Hop (humulus lupulus) is a marvelous plant, but it can be a bit invasive, its roots crawl under the ground and pop up in unexpected places. Off course, everyone knows hop bells are used for beer brewing (these bells are only formed on female plants), but lesser known is the use of the young, blanched shoots. 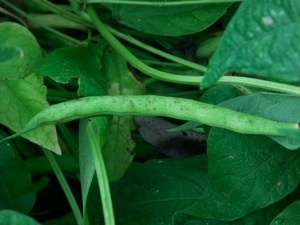 The region around Ypres in Belgium specialises in these young shoots culture, they are an expensive delicacy in spring. The roots are the main edible part of horseradish (armoracia rusticana), they are used mainly for flavouring, adding a hot , mustard-like taste to all sorts of dishes. They are preferably rasped and used fresh, heating up takes away part of the hot taste. A very good use is blanching the leaves during spring, they have a very mild, sweetish taste and can be added to salads, or put into warm dishes. Gowing out horseradish is very simple, just obtain a piece of fresh roots, plant it and there you go; it will spread around a bit (or sometimes more than a bit), but you’ll have horseradish roots for many years! A favourite dish in some high-class Mexican restaurants, huauzontle (or huauzontli, hauzontlii, or Chenopdium nuttaliae) is an easy to grow alternative for broccoli. It is sown in spring (frost-free) , grows quickly to a height of nearly 2 metres, and has wonderful red autumn colours. The edible parts are the young shoots, they are formed abundantly on the plants, just cut them and fry or steam them, they taste very nice, soft and tender. The plants aren’t fussy about the soil, but they prefer a sunny and (surprisingly) humid place (I’m pretty sure they will do OK in a dry spot as well). 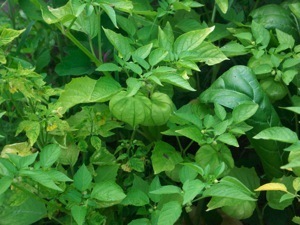 The leaves can be prepared as spinach, and seeds can be eaten as well (but I never tried that). They are ground into some kind of flour, and mixed up with other flours (amaranth and other chenopodiaceae) to make a base for all sorts of traditional breads.